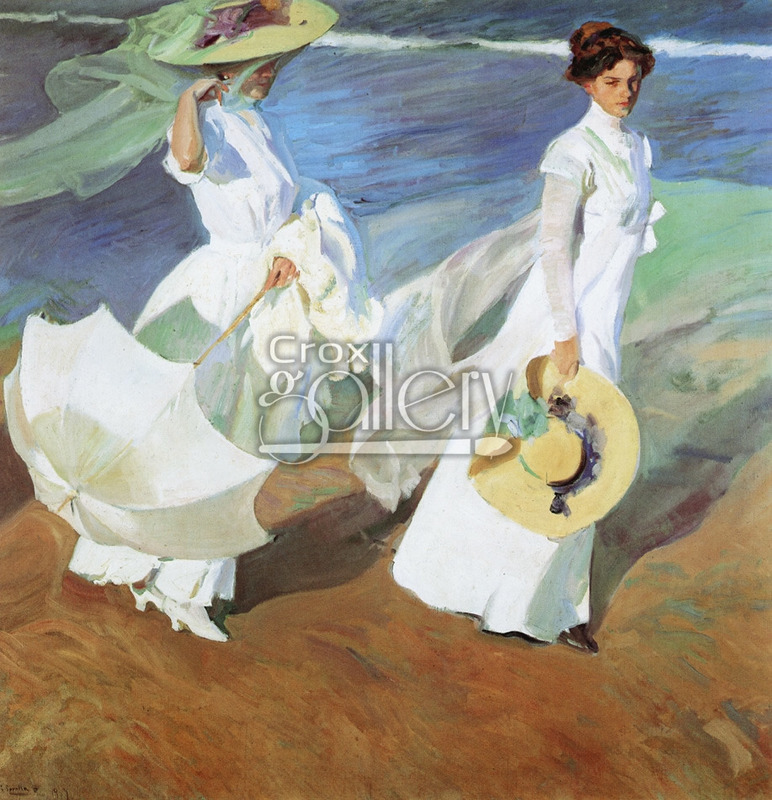 "Women Walking on the Beach" by Sorolla, Master Piece Painting. 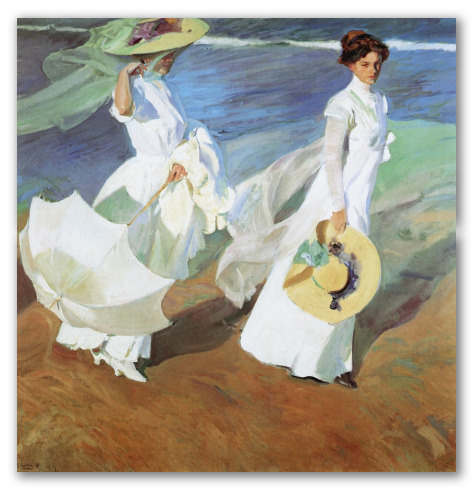 This is one of Joaquin Sorolla’s most famous paintings. It shows his wife and daughter walking along Valencia’s Mediterranean beach. The effects of light achieved are unique to his style. In this painting, you can observe all Sorolla’s brilliance in his special ability to capture the sun’s rays reflecting on the white fabrics.